Established in 1982, MAKKAYS commenced its business in the field of scientific and electronic components and equipment. 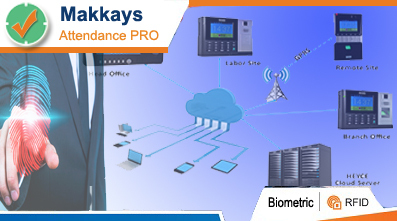 Customer services and customer satisfaction being placed at the forefront has allowed MAKKAYS to boast a wide spectrum of high profile customers ranging from Educational establishments, Research and Development organisations, OEMs to Industrial, Defence and the Telecom and IT sectors. Our core strategy is to provide the best products and solution that best fulfills our customers' needs and demands. This is done through a high level of commitment and dedication by our highly professional and motivated team. All medium to large sized organizations have the requirement to log the movement of visitors in and out of their premises, specially since these days security is a major concern. This calls for a Visitor Management System which not only logs the movement of visitors, but also has the feature to get approval / confirmation from the person being visited. 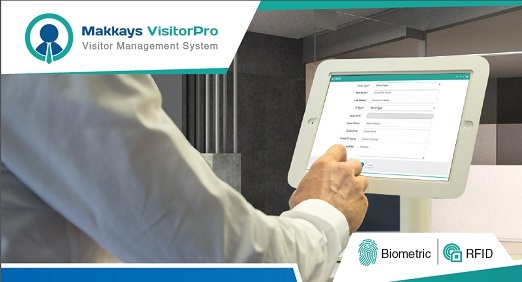 Makkays Visitor Management System is highly customizable and may work on different models, as selected by the user. It may work with Barcoded Visitor Cards, RFID based Cards, NADRA CNIC's or Biometric Fingerprint Readers. A complete and secure solution for the management of access of vehicles in and out of any premises. 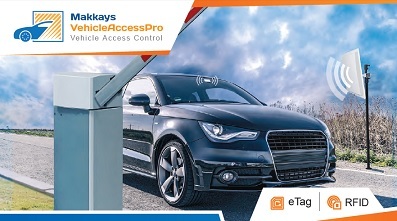 VehicleAccessPro is an RFID based solution which implements eTag feature that enables an organization, to allow access to only authorized vehicles into a premises. The system integrates with UHF RFID Readers and provides a complete monitoring dashboard for the on-duty security office, to monitor each vehicle that arrives at the entry / exit gates. As soon as an e-tagged vehicle arrives at an entry / exit point, the eTag is read and information of the vehicle and the vehicle owner, corresponding to that tag is displayed on the monitoring dashboard, along with the live view from a camera. Based on the information, the security officer may decide to lift the barrier or drop the road blocker. The barriers and road blockers can also be controlled automatically by VehicleAccessPro. It is a complete end to end solution for Vehicle Access Control. A comprehensive web-based Attendance & Leave Management System which may be used to log, manage and report the attendance and leaves of employees, students, or any other type of personnel. With a very user friendly web based interface and a very comprehensive dashboard, the system delivers great power to its users (employees as well as the management). Packed with features like Leave Management, Manual Leaves, Working Hours and Over-Time Calculations, Shift / Roster Management and a very strong reporting module, this solution is a must have for every organization. A very comprehensive and highly configurable web-based HRMS – Human Resource Management System which contains the features of Employee Management, Attendance & Leave Management and Payroll Management. This solution is a must have for every organization.